This news story was published on December 23, 2012. IOWA CITY, Iowa — Former 30-year head baseball coach Jim Brownlee has been named the pitching coach for the University of Iowa baseball program, head coach Jack Dahm announced Friday. 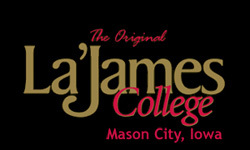 “I am very excited to have Jim as a part of our staff,” said Dahm. “He is a guy that has 30 years of head coaching experience, so not only is he going to be a positive for us with our pitching staff, but for our program overall. Brownlee, who amassed an 854-817-5 record as the head coach at Evansville and Illinois State, is the father of former Hawkeye assistant Ryan Brownlee, who was named head coach at Western Illinois in September. “I am quite honored that coach Dahm asked me to come back,” said Brownlee. “I have always been a guy that has given back to baseball; it has been great to me and my family, so I have tried to give back. This is a chance for me to give something back to baseball. During his last coaching stint at Illinois State, Brownlee won 157 games over seven seasons. In 2009 — his final season — Brownlee led the Redbirds to a 25-23 overall record and an appearance in the Missouri Valley Conference Tournament. He had five players named to the All-MVC team, the most for the program since 2006. 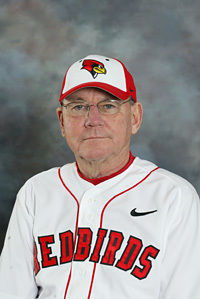 Prior to coaching at Illinois State, Brownlee spent 23 seasons at the helm of the Evansville baseball program, where he posted 16 winning seasons. After going 7-37-1 during his first season in 1980, the following season, the Aces won 26 games, more wins than the previous three seasons combined. From 1983 to 1985, Brownlee was a three-time Heartland Conference Coach of the Year, leading Evansville to league titles all three seasons. In 1988, Brownlee had one of the best seasons of his career, earning Mid-East Coach of the Year honors by his peers and the Diamond Sports Company District Coach of the Year after leading the Aces to a 44-20 record and an NCAA Tournament victory over No. 1 Arizona State. Brownlee coached Evansville pitcher Andy Benes to NCAA Player of the Year honors, and he was the No. 1 overall pick in Major League Baseball’s Amateur Draft by the San Diego Padres. Brownlee then coached Evansville to national prominence in the Midwestern Collegiate Conference (now the Horizon League). In 1991, the Aces won the MCC regular season with a 40-18-1 record, and in 1993, he led the team to a 43-18 mark, the second-most victories in school history. Brownlee coached Aaron Gries, the Academic All-America Player of the Year at shortstop in 1993. In 1995, Evansville joined the Missouri Valley Conference, and Brownlee continued to succeed, posting winning records in five of his eight seasons in the league. The 2000 season saw Brownlee lead the Aces to a 41-22 record and an NCAA Tournament bid, which earned him Valley Coach of the Year honors. In his 14 seasons in the Valley, Brownlee produced 15 first-team all-conference players and 22 Valley Scholar-Athlete first team selections. After his playing career ended and having served a stint in the military, Brownlee became an assistant baseball coach at Illinois State from 1975-76 and served as head coach for the Galesburg team in the Central Illinois Collegiate League (CICL) before taking the job at Evansville in 1980. Brownlee is a member of the Illinois State Athletics Hall of Fame, being inducted as a member of the 1969 team. He was also inducted into the Evansville Athletics Hall of Fame in February 2005 after he earned more victories than any other coach in Evansville history.